Leading air traffic services provider, NATS and its project partners were big winners at the annual IHS Jane’s ATC Awards this year, picking up the Runway Award. The world first implementation of Time Based Separation saw NATS scoop the Runway Award with project partners Lockheed Martin, Heathrow Airport and EUROCONTROL. Designed to help maintain the landing rate during strong headwinds, TBS has been hugely successful in cutting delays at Heathrow. In November 2015 alone the system saved 25,000 minutes of air traffic flow management delay and is on track to more than halve overall headwind delays. The prestigious IHS Jane’s ATC Awards 2016 recognised the best achievements by industry and ANSPs over the past year, rewarding winners for their innovation and collaboration. 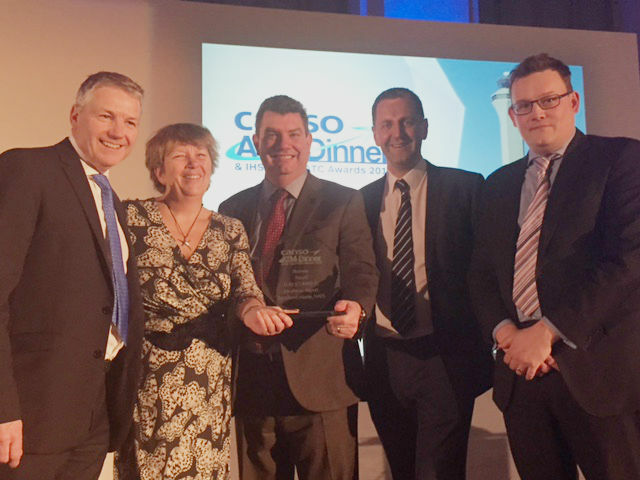 The awards were announced at the CANSO ATM dinner in Madrid on 7 March, prior to the CANSO World ATM Congress 2016.